Years ago, Nagesh Kukunoor made a promise to not attend the Berlin Film Festival till his own film gets selected. Well, that day is finally here. His next film, Dhanak (Rainbow) will have its world premiere at the festival. Excited about the entry, Kukunoor said, “It is a true honour to head to a festival that you’ve respected all your life. Dhanak’s journey has been nothing short of magical and we’re going to carry that lovely warmth of Rajasthan into cold Berlin and have a blast!” The film will also be competing in the Generation Kplus category which is adjudged by a jury of kids aged between 11 to 14 years. After his last film, the grim Lakshmi, that highlighted the plight of a young girl forced into prostitution in Hyderabad, Kukunoor wanted to make a film on hope and innocence. 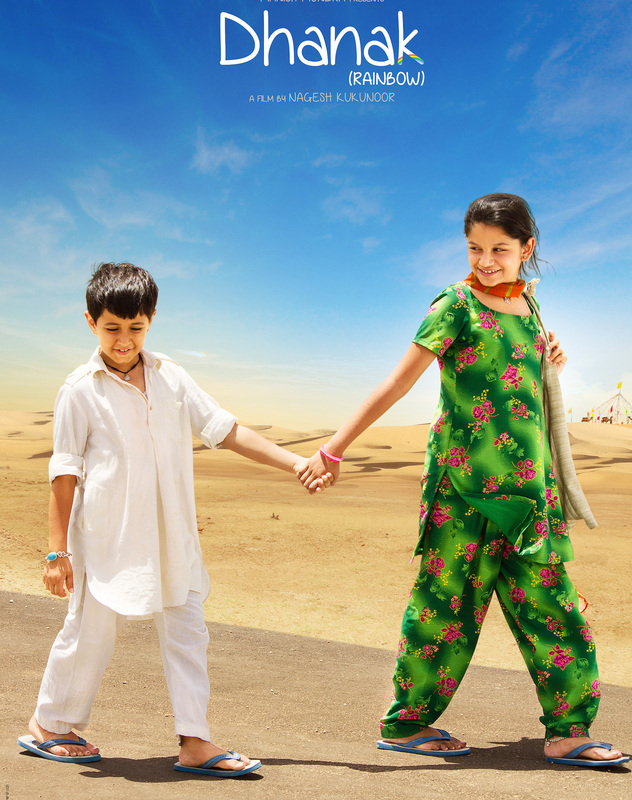 Dhanak revolves around an eight-year-old blind boy whose ten-year-old sister promises him that his vision will be back before he turns nine. The film follows the duo on a magical journey through the sand dunes of Rajasthan and spreads awareness about the noble cause of eye donation. It is also Kukunoor’s second film with children after his highly appreciated Rockford. Producer Manish Mundra, the man behind Ankhon Dekhi, is equally ecstatic about Dhanak’s world premiere at such a prestigious festival. “Being invited to the prestigious Berlinale as a producer of Dhanak is a proud moment for me. We have hired one of the top publicists to promote our film at the festival,” He says. But this isn’t the only proud moment for this producer. Prashant Nair’s Umrika, co-produced by Mundra, won the Audience Award in the World Cinema Dramatic Competition section of the 2015 Sundance Film Festival.